We all know what it’s like to be ugly, stupid sick. Your eyes and nose turn red and swell. No matter what you do to your hair, it seems to hang in greasy tendrils. And, with your hearing and mental acuity both compromised, you tend to answer questions with “Wha?” It’s a time when most of us want to hide away, immensely grateful that the illness will pass. We’re worried someone might believe we really are that dull-witted. 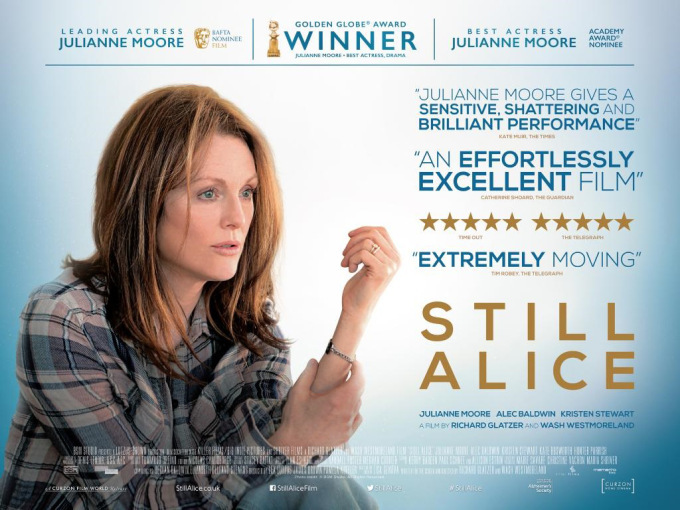 As the main character in the film Still Alice realizes what Early Onset Alzheimer’s disease will mean to her–a professional woman who has been known for her keen intellect, she says, “I wish I had cancer.” I understood what she meant. Her disease was incurable, a short slide into an abyss. She was about to be shuffled to the sidelines of life as an embarrassing oddity, something to be pitied. Several years ago, my doctor at the time was overcome with concern for me and told me I had breast cancer before the diagnosis had been confirmed. She didn’t want me to waste time before beginning treatment. During the period between that hasty conclusion and a final judgment that the diagnosis was unfounded, I discovered that our society has successfully transformed breast cancer into a cause for support. Strangers were uncommonly kind to me. I had a sense of being a part of a larger community that, frankly, I missed when the diagnosis was proven invalid. My ticket to the sisterhood disappeared. Certainly I don’t wish I had cancer, nor do I wish it on anyone else. No amount of support can make the fear and pain attractive. But even though it is sometimes incurable, cancer is currently viewed as a disease that’s imposed on a person. The person is sick. I know and love people who have diseases such as Multiple Sclerosis, Parkinson’s, or Alzheimer’s—even Clinical Depression. They share Alice’s frustration at being viewed as flawed instead of ill. People want to look–and walk–away. When a friend with Alzheimer’s visited our home and suddenly flew into an irrational temper, my husband and I were charged with trying to look through the disease to see the frustrated old friend underneath. Love requires a kind of x-ray vision, a view to the essence of the person even when that soul seems to be lost. “Love bears all things…” which makes the purest love and human respect unconditional, even when the situation becomes one in which you have to call in help. This entry was posted on September 5, 2015 by Personal Journeys with Gramma in Working the Craft: Reading & Writing and tagged Cause for Support, Community, Debilitating Disease, featured, Human Respect, Illness, Incurable Illness, Julianne Moore, Love, Still Alice, Understanding, Working the Craft: Reading & Writing.